On Wednesday, the Boy Scouts of America will break ground on a state-of-the-art facility providing its young members with hands-on leadership training. The complex, according to a BSA representative, will be built to further "the [Scouting] mission to shape and develop the nation's next generation of leaders." Members of The Church of Jesus Christ of Latter-day Saints will be especially interested in the name of the project: the Thomas S. Monson Leadership Excellence Complex. An avid, lifelong scouter, President Monson has overseen the Church through a sometimes tumultuous relationship with the Boy Scouts. But the Church's continued endorsement of the Scouting program under President Monson's leadership has protected the long-standing union of the two value-centered organizations. The LDS Church remains the BSA's oldest partner and its largest sponsor of Scouting units. An artist's rendering of the Complex. Image from BSA. Set to be completed in 2020, the Monson Leadership Complex will offer "a variety of training methods and learning experiences in categories such as communication, storytelling, and conflict resolution." Said a representative, "Scouts already learn leadership skills in our programs; however, the complex provides a tremendous opportunity to formalize this training so Scouts can be better prepared to lead throughout their lives." The complex will be built in West Virginia, on the Summit Bechtel Reserve. The reserve is one of the BSA's high-adventure bases. 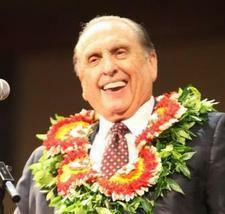 Besides his associations with the BSA as the head of the LDS Church, President Monson has been a member of the BSA's National Executive Board since 1969. He is also a recipient of the BSA's highest awards—the Silver Beaver, the Silver Buffalo, the Silver Fox, and the Bronze Wolf. Lead image from Vozes Mormons.